The population in Russia is aging as well as in the rest of the world. The Federal State Statistics Service (Rosstat) predicts that by 2036, there will be about 43 mio people above working age, or 16-17% more than now. 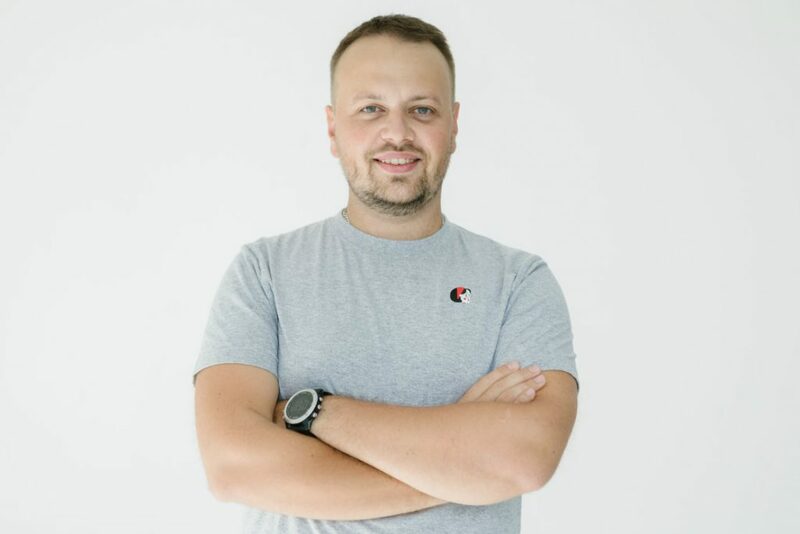 Alexander Korovin, the founder of the Blizkie.ru project, told Invest Foresight about the special needs and requirements that are unique to serving senior citizens. Blizkie.ru is an online platform for finding professionals who provide assistance to the elderly and people with limited mobility in Moscow. The service was launched in April 2018. Its users can request a specialist’s home visit once or twice a day. The employee gets paid for the number of tasks performed such as cooking, cleaning, shopping and doing hygienic procedures rather than for the hours spent with the client. After graduating from the Bryansk Engineering Academy and the British Higher School of Design, Alexander Korovin worked at Tinkoff Bank, Rambler and Yandex. He got his first entrepreneurial experience in 2014 by launching Qlean, an online cleaning service, together with his partners. Over the next four years, the company he led as CEO attracted $9.2 mio in investment, reached a revenue of RUR 65 mio ($980K) and began doing 50K cleaning jobs per month. Korovin began eyeing the social care market as an option for expanding the existing business while still working at Qlean. Yet, the idea of​​ Blizkie.ru did not take shape until he faced the problem of finding a competent person to take care of his grandmother who began to develop dementia. Studying the features and structure of eldercare markets in European countries, he found that those countries had systems of quality standards and requirements for this type of activity as well as educational institutions training nurses for the elderly and limited mobility people. In Russia, the social care industry is still uncivilized: the recruitment is based on the word of mouth and there are no regulations for the provision of these services. The Russian market includes patronage companies and nursing agencies as well as institutions such as care homes for the elderly and people in need of round-the-clock care, but they do not enjoy a high demand. The only worthy player, according to Korovin, is Alexei Sidnev’s Senior Group, but their services have a high price tag. Korovin decided to launch Blizkie.ru, the first online search engine for recruitment of eldercare professionals. Using the service is easy. A client makes a request via the mobile app or online. Office workers contact the client, receive the information on required number of visit per day and a week schedule, and make an order. Candidates interested in providing the service receive the order via the mobile app. In case a client finds a candidate unsuitable, other options are offered. The work is organized similarly to Qlean and Uber. Each worker who will provide social service takes a three-day training course to learn about feeding and communication techniques and various procedures depending on a client’s illness. Following the courses, the company’s administration makes a conclusion on a ‘candidate’s dependability’. The company statistics say that only one out of 20 candidates is allowed to access the platform. If an employee is new, a client is initially visited by experts who assess his condition and develop a corresponding individual care program. If a client is unable to provide feedback, the time spent by an employee is recorded on camera. According to Korovin, service quality control is performed under the scheme similar to the one used by Qlean. Employees’ work is evaluated and monitored via the mobile app; after each visit, an employee fills in a form as a report available to the client, as well as to coordinators and medical experts involved in the project, who perform constant monitoring and analysis. Employees and clients are contacted online, and occasionally by phone. Optionally, at the request by clients or their relatives, a video surveillance system can be installed in rooms to watch employees. The company also pays attention to providing client security. Certain individual programs include a personal liability insurance coverage of up to RUR 60 mio ($907,800) and an accident insurance coverage of up to RUR 1 mio. The project already involves over 100 trained contract employees aged 35 and older, who work both on a regular and periodic basis. They often have experience in caring for relatives or working at recreational institutions. The launch of the service cost RUR 20 mio ($300K). Korovin invested RUR 10 mio ($150K) of his personal money while the rest was provided by individuals. Among them were Startupconsult head and partner Anastasia Olimpieva and Eduard Gurinovich, a founder of the Expload and CarPrice startups. The money was used to cover operating costs, such as salaries, advertising, office rentals and the creation of an educational center. The project team comprises 7-8 people and four more people are engaged in the training center. Korovin made the website himself. The project receives 20% of the deal value; the rest goes to the contractor. For instance, one visit costs RUR 890 (13$), with RUR 712 ($10) being paid to the worker. One employee visits two-three clients a day, and this makes up for a decent salary. Plans call for introducing a long-term subscription and developing new services, such as providing assistance and care at hospitals and the rehabilitation after certain diseases. Since its opening 6 months ago, the project has serviced over 120 people. The company’s monthly revenue exceeds RUR 3 mio ($45K). According to the founder, it is too soon to speak about the return on investment. According to Korovin’s estimates, there are over 600K people in Moscow who need home care. Plans call for servicing at least 2% of them in 2019, and probably expand the service to the entire country in the long term.